This turnkey bar has been trading with the current owner for over two years and is wishing to sell due to retirement. This would suit a couple or partnership with enthusiasm and dedication to continue running this very busy bar. Fuengirola is situated between Malaga & Marbella and is an international destination for holidaymakers from all over the world. Boasting 300 days of sunshine a year Fuengirola is an ideal location for a new business. This opportunity is two bars for the price of one and has very good local trade and an up and running pool and dart team. Along with passing trade from a nearby hotel and a good local trade this Sports bar is a good investment. 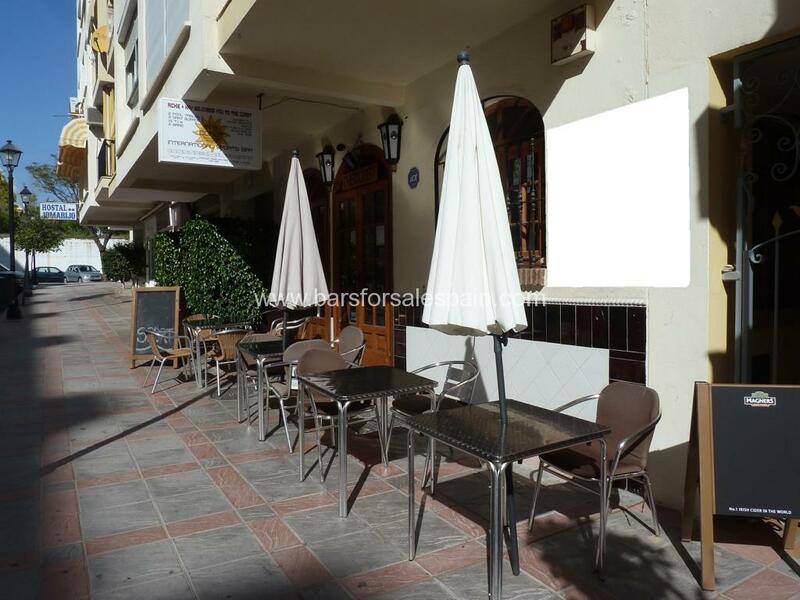 Bars for Sale Spain are one of the longest established British commercial brokers based along the Costa del Sol, specialising in the sale and transfer of Bars, Cafe Bars, restaurants and pubs. We are a friendly family run company with over 50 years of experience so we have a wealth of local knowledge and expertise. Our after sales service is second to none.